If you were one of the “lucky” ones who were able to order a Google Nexus 4 last week, then you may have been one of those whose elation quickly turned to despair after finding out that you’re now stuck in shipment uncertainty. Let us try to turn those ill-feelings round by sharing some good news — we’ve gotten word that more shipment notifications have gone out. Your Google Nexus 4 may just be on its way to your doorstep. “Good news for those of you who managed to order a Nexus 4 last week but were stuck in limbo on shipping — it looks like another batch has started shipping. Actual delivery date is still kinda up in the air, but that’s not unusual for UPS; it can take a few hours for the tracking system to catch up. Check back in the morning. Definitely awesome news for eager fans of the latest Android flagship phone from LG and Google. And if you’re one of the fortunate individuals who already own a Google Nexus 4 or have one on the way, be sure to take advantage of Box’s free 50 GB cloud storage. It’s a great way to get around the storage shortcomings of the otherwise brilliant device. 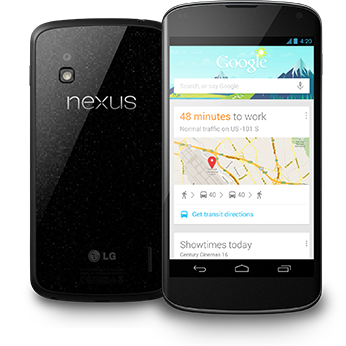 Have you received a shipping notification for your Google Nexus 4? Do you think the device is worth the wait? Discuss in the comments below!